Risking $25,000 on your appraisal? APPRAISAL: The Buyer acknowledges that the purchase price set forth in this Agreement is higher than the Seller’s listing price of $489,000.00. If the Buyer has otherwise qualified for a mortgage loan as described in this Agreement, the Mortgage Contingency Clause, the Buyer shall have no right to terminate this Agreement pursuant to said Clause unless the appraised value of the property as determined by the Buyer’s mortgage lender is less than the listing price of $489,000.00. The appraisal report, plus a fully underwritten examination of the borrowers’ credit, income, and debt are completed during the loan commitment period. If the buyers/borrowers fail to get a mortgage by the mortgage commitment deadline, they can get their deposits back. 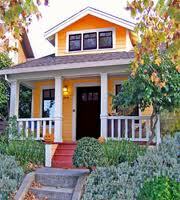 Appraisers look a recent sales to determine if a property is sufficient collateral for the mortgage. Their concern is that, in the event of foreclosure, the property will be resalable for enough to cover the mortgage amount and the costs of the resale. This generally takes longer than the review of the buyers’ credentials. Most of the time it takes 5-10 business days. The paragraph from the listing agent (above) makes a low appraisal solely the buyers’ problem. 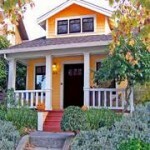 The seller does not have to wait a week or two to find out if the appraisal came in on value. If the buyers lost their head and overpaid, it’s their problem. If the appraiser did a poor job of judging the market, it is the buyers’ problem. That is a $25,000 problem we are talking about. The worst part about it is that the $25,000 is riding on the behavior of someone other than the buyers. The solution to this kind of economic bullying? Just say no. There are other houses and condos in them thar hills.